As usual, the yearly event for KELFAS Club of SMK Kandis called Family Day was held. The scenic atmosphere at Sweet Beach Resort sparked the feeling of togetherness among the teachers and staff of SMK Kandis. To be fair to my PMR and SPM classes, the class of 5 Cemerlang was also given a chance to complete the task on idioms and sentence creation. 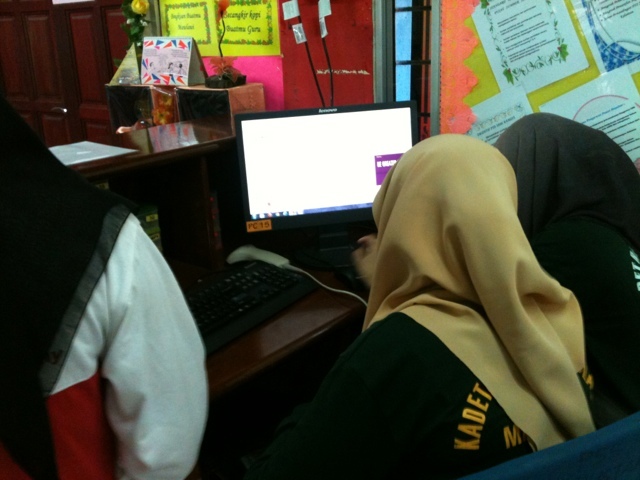 Syahira, Aqila, Adila, Atikah and Azliza hogged the main computer and quickly googled their parts of the idioms. While Salmi, Aida and Suriea used the computer in the APD room. 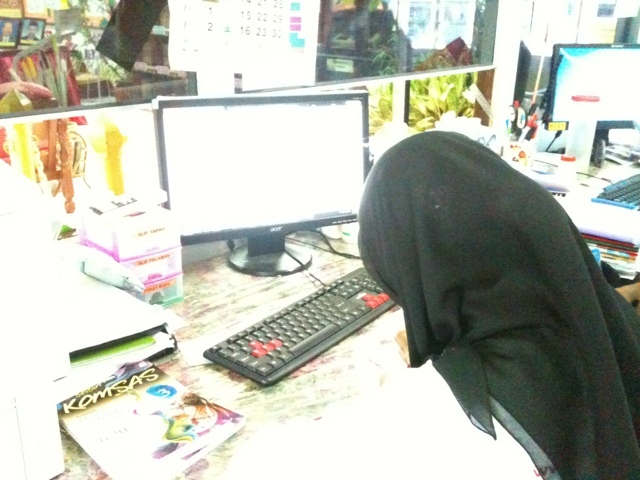 Syahran, despite having his arm in a cast used another computer at the Ruang Karel, together with Azul. The rest tried their best to create their own sentences, for instance Aliza, Farhana and Farahanim as well as Saidatul, Ezura and Eliya discussed theirs to come up with original sentences. Good to see them striking an effort! In accordance with the application of technology in teaching and learning among students, yours truly took the initiative to engage students in quasi independent learning (while being monitored by library teachers) for English lessons for the class of 3 Super. 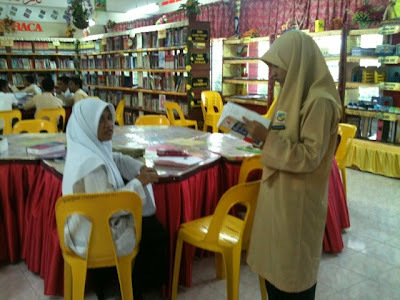 By incorporating library and online research for meaning and sample sentences of idioms and proverbs stipulated by me, the students can maximize their knowledge by incorporating information sought from books and also online resources. Hopefully, these practice will be ingrained in the students' attitude towards learning and can increase their overall comprehension of certain topics while indirectly broadening their horizon and slowly moulding them into Internet savvy individuals. 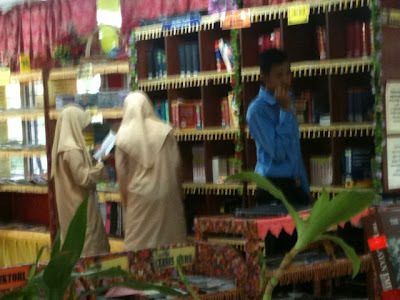 As part of the golden holiday series, an extra class was held today for both PMR and SPM students. 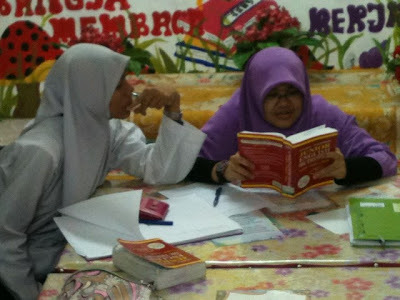 Yours truly, had to conduct an extra class for 5 Kualiti. We worked further on Model SPM papers, this time focusing on Paper 2, since we had completed Paper 1 during classes before the holiday started. 8 people were present from 30 in the class. They are Hafiz Azudin, Malek, Ku Azhan, Khairuddin, Abd Mukmin, Saufiq, Hafalzilah, Asmawarnie and Hazma. Hopefully, the sacrifice they made will be well-rewarded! As for Abdul Mukmin and Khairuddin, both of them stayed back and finished up answering Section D: Literature Component. They have come a long way and I hope they retain their enthusiasm in English!